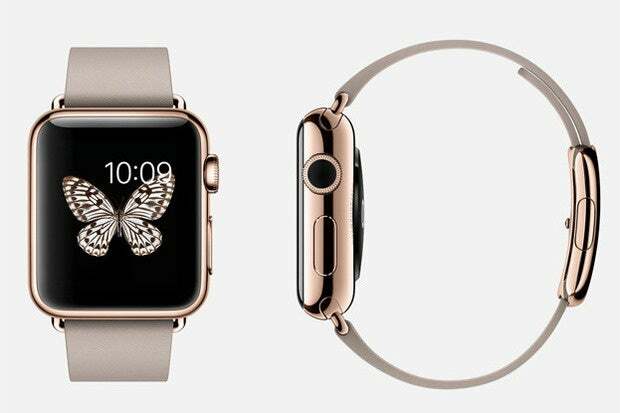 Few can afford an Apple Watch Edition, but that doesn’t mean you can’t get your hands on one. When Apple started taking preorders for all Watch models last Friday, it also opened up appointments to try them on in person, with a special appointment process for the Edition. Macworld’s Leah Yamshon and Caitlin McGarry tried on all three models in San Francisco and New York, respectively, and compared notes on what the demos are like, how they differ, and which Watch is the best in person. 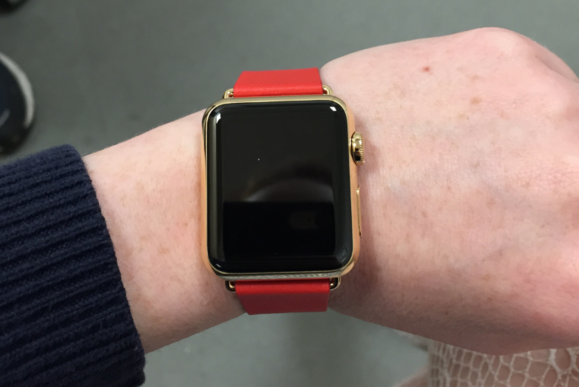 Caitlin: I admit, my expectations for the Apple Watch Edition try-on appointment were high. 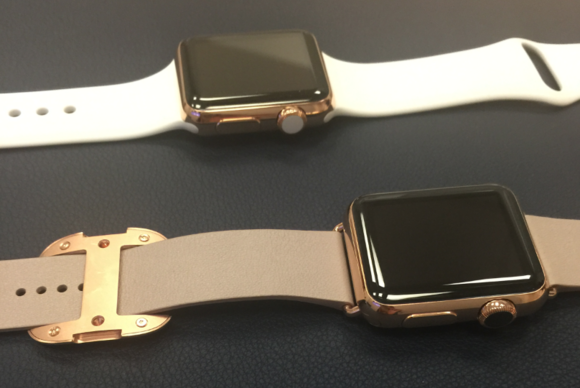 I’ve been lusting after the rose gold Edition with rose gray Modern Buckle band for months. I counted all the quarters in my change jar/retirement account to see how close to $17,000 I could get. (Not close, not even a little.) Even though I have no plans to buy an Edition any time soon, or ever, I was looking forward to getting a little taste of luxury at the Edition appointment. I’ve been in other situations where high-end goods are at stake, like fancy jewelry stores and car dealerships, so I was expecting special treatment. Maybe a glass of champagne. A little red carpet rollout would have been appreciated. Leah: My expectations weren’t as high. I read a Business Insider article on Friday that described a lackluster experience at Apple’s Covent Garden store in London—so I went in to my own appointment expecting to get to try it on, but not have a lot of my questions answered. I also anticipated a big push to actually buy the Edition from the Apple Store associate. I had this whole internal conversation, rehearsing what I would say if they pressed me for more info about my line of work, how much I make, if I wanted to slap my credit card (ahem, debit card) down for a deposit. Leah: That’s a whole separate article: “How to dress for your Edition appointment.” Fur, Chanel, perfectly manicured nails, the works. Leah: I hoped they didn’t notice that the zipper was broken on my Marc Jacobs bag. Kind of fancy? Halfway fancy? SIGH. 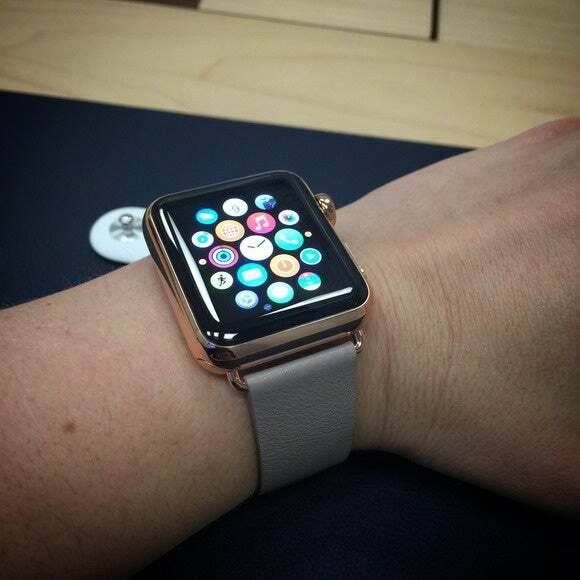 We both love the rose gold Edition with the rose gray Modern Buckle. Drool. Caitlin: As it turns out, it doesn’t matter what you wear to a Watch Edition appointment because Apple employees don’t expect you to buy one. You don’t even have to pretend you’re going to buy one. No proof of income required for these demos. Leah: Absolutely. There was no judgement at all, and the associate I worked with definitely realized right away that I wasn’t a serious buyer—just a gal who wanted to slap on some rose gold and chat about style. Caitlin: That rose gold is so stunning in person. I tried on the 38mm Edition in both gold and rose gold with a variety of bands (red and rose gray Modern Buckle and a white Sport Band) to really milk the appointment. Both versions were heavier and less ostentatious than I thought they would be, though that red band just screams “LOOK AT ME I AM AN APPLE WATCH.” Possibly the reason why Drake and Katy Perry have been sporting that version. Leah: I mean, if you’re shelling out $17,000 and don’t have to take public transportation every day (looking at you, Drake and KP! ), you might as well shout it from the rooftops. Red and gold is perfect for that. BAM! Gold Edition, red Modern Buckle. Caitlin: True. The Watch Editions were definitely worth trying on, but my appointment wasn’t as amazing as I expected it to be. I went to the Fifth Avenue flagship Apple Store in Manhattan (that giant glass cube you can spot a mile away) and thought the location would add a certain something. While an employee whisks you off to a private room and a security guard brings you Watches in lovely suede boxes to try on (two at a time), there are no other bells and whistles. Try on a Watch, ask some questions, that’s it. I thought a $17,000 experience would feel more expensive. Leah: My experience at Apple’s San Francisco flagship store on Stockton Street was a bit different, but also lacked the luxury concierge feel you were hoping for. I was also whisked away to a private back room, flanked by an Apple Store associate and a security guard (who waited on the other side of the door, in case I grabbed the Watch and ran for sweet, sweet freedom). When I sat down, there were mini bottles of water on the table, and I was offered a MacBook or iPad to play with while I waited for my Watch to be brought up from the vault (which I imagine is like Gringotts, deep underground and protected by dragons). Caitlin: Based on my two appointments, it’s clear that your Watch try-on will depend entirely on your associate and how knowledgeable he or she is. After I tried on the Watch Sport and stainless steel Watch last Friday, I was so pumped about the 38mm aluminum Watch Sport with white band heading my way. The associate I worked with explained all of the features in detail, even though he didn’t have a Watch of his own to try out. The Edition associates are supposed to be experts, but I felt like I guided my own Edition demo. Leah: I also had a regular appointment to try on the Watch Sport and stainless steel Watch on Friday, about 2 hours before my Edition appointment. However, I was there with our camera crew in tow, so that appointment was more about getting the best video footage. The associate I worked with was great, and I did get to ask him some questions, but we didn’t have much time to chat and I felt a little rushed. The Apple associate knew what was up, and really tailored the appointment to my interests. My Edition appointment was the exact opposite: It was just me and a different associate, and he was really enthusiastic about the Watch. He asked me right off the bat if I had a chance to look at any of the styles and sizes or if I wanted him to go through the best combinations (to which I quickly replied: “38mm, rose gold, rose gray Modern Buckle, let’s do this.”). While we waited, he guided me through the display watch (which is just like the ones found at the Watch/Watch Sport demo stations—a mounted Watch connected to an iPad that displays more info as you navigate through the Watch’s functions) and answered every question I threw at him: He told me all about the gold-making process, the weight differences between the Watch, Sport, and Editon, what each of the buttons do, more about its Taptic Engine, and what some of his favorite Watch features were. He knew what was up, and really tailored the appointment to my interests. He also asked me what features I was most excited about and what I wanted to use the Watch for, so he could specifically guide me through those features. It was awesome. Seeing the Watch Edition in person lets you really appreciate its finer detail, like the Digital Crown that matches your original band selection. Leah: To me, the only appeal of the Edition appointment was getting to try it on, but I left feeling really impressed with the level of customer service I received—though everyone should leave their appointments feeling satisfied, no matter which kind of appointment you make. Caitlin, you nailed it: I wish there was a standardized appointment procedure. Because each of the Watch models function exactly the same, the amount of helpful info you get during your appointment should be the same, too. Caitlin: After two separate try-on appointments at two different stores and the chance to strap a variety of Watch models and bands to my wrist, my biggest takeaway is every Watch is the same. The materials are different, and the price obviously varies wildly, but the Watch itself is the exact same product no matter how much you spend. I may have shelled out fraction of what Edition buyers did, but it doesn’t matter. The Watch features are the same, the OS is the same, and the user experience is the exact same, no matter what your credit card statement looks like at the end of the day. Leah: I definitely recommend making an appointment of some kind, though—especially if you’re on the fence about the whole thing or if you want to make sure you ordered the right size and version. Trying it on ahead of time will prepare you for your own Watch when it arrives. I feel like I get it now. Caitlin: Now that I’m sure I made the right call when I preordered, the big question is: Will my Watch arrive on April 24, May 8, or somewhere in between? The countdown is on.